Whoever has installed a watercooling system knows the problem: How to fill the system without having the system overheating due to the missing coolant in the loop? 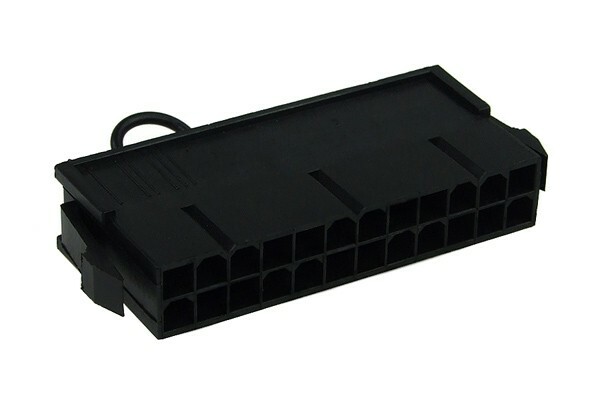 This is the easy solution: Just plug in this bridging plug and the PSU will power up without the usually required Mainboard, allowing simple filling of the system without having to risk the system's overheating. Ideal for quick tests and filling of the watercooling system without having to power up the PC. Important: If the PSU is bridged and the CPU 4 or 8-Pin connector is still inserted it will result in permanent destruction of Mainboard and CPU! Do not bridge PSUs without load, please check if you require the 20- or 24Pin plug!